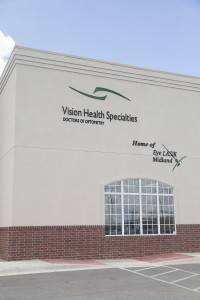 Welcome to Vision Health Specialties of Midland! Our wonderful team of eye doctors and vision care staff are here to help with all of your vision needs. We carry the best possible eyeglass frames and lenses to suit your individual eye care needs and we deliver service with style! 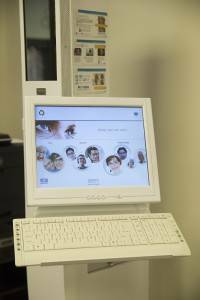 At Vision Health Specialties we provide a family-oriented atmosphere coupled with excellent service. We take pride in building lasting relationships with our patients, which is why we take the time to get to know you, your vision requirements and your lifestyle needs. At Vision Health Specialties, you’ll be able to browse our large inventory of adult frames, child frames, various contact lenses like daily lenses or UV protected, high-end designer frames, and polarized sunglasses. And our experienced optical staff is happy to guide you in choosing the product that is right for you! – Experienced doctors with dedicated assistants & technicians to make your visit quick & precise. Our eye doctors have vast experience in the following areas: eye disease and refractive surgery, diabetic retinopathy, ocular therapeutics and glaucoma treatment, laser eye surgery, treatment and management of ocular diseases. And our staff is friendly, helpful and they make your visit as easy as possible. Contact our eye care clinic today to find out how we can be of service to you! Free Guest WiFi – No login required. Ever wonder what it takes to run a leading practice with 4 doctors, teams of staff, and ensuring top customer care? Here are our 20 guidelines for success. Vision Health Specialties has a rich history of eye care. Our location has been servicing eye exams ever since the 1920s!